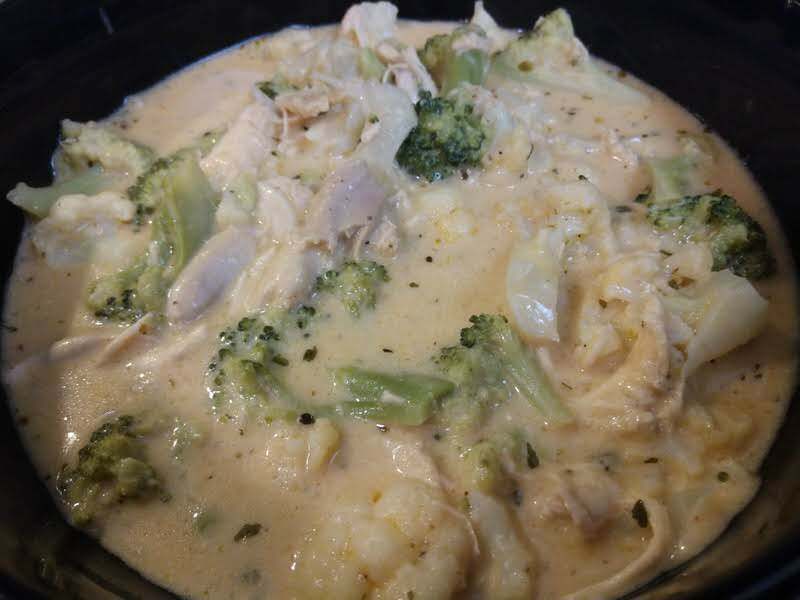 This Keto Cheesy Chicken and Veggie Chowder is perfect for a cold fall night! It’s creamy, delicious and super filling. My husband cracks me up, EVERY-SINGLE-TIME I make a soup or chowder. He hasn’t ever liked soups, stews, or chili.. They have just always been a turn-off and he absolutely wouldn’t go out of his way to say, “I’d love some soup/chili tonight!” Nope. He is not a fan. BUT…. I have turned him around. He will eat it if I make it, and actually really enjoys it! I’m telling you though, even now- I get to hear the famous “You know I don’t like soups/chili…… but I do like yours”. Every time. 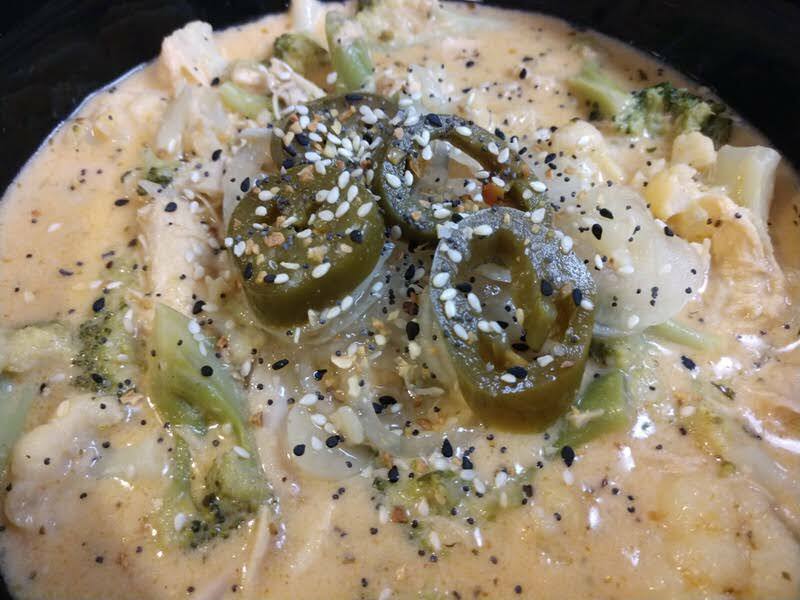 So, I continue to make all kinds of soups, stews, and chilis, even if it is the same commentary every time I present a bowl of creamy, flavorful deliciousness to the table. I’ve become used to it over the years and it still makes me smile because I KNOW he is going to enjoy it regardless. My daughter is a big fan of soups, so I don’t have to worry about her gobbling it up. She always tells me my soups are so goooooood! Haha, I love her positive feedback. She has recently been giving me all kinds of feedback and ideas (knowing I am contributing to the blog with my recipes now). She tells me every which way sideways I could add to it, make it differently or what she wants more of. I love it. This chowder was really based on my craving for comfort food and needing to throw together something quickly that evening. We had been very busy that day, hungry and tired. So, I scanned some leftover cooked chicken and had some frozen veg waiting to be added into a meal. Then, I knew I had the broth, but I didn’t want it to just be a thin soup. I wanted a thick…. chowder! Yes! 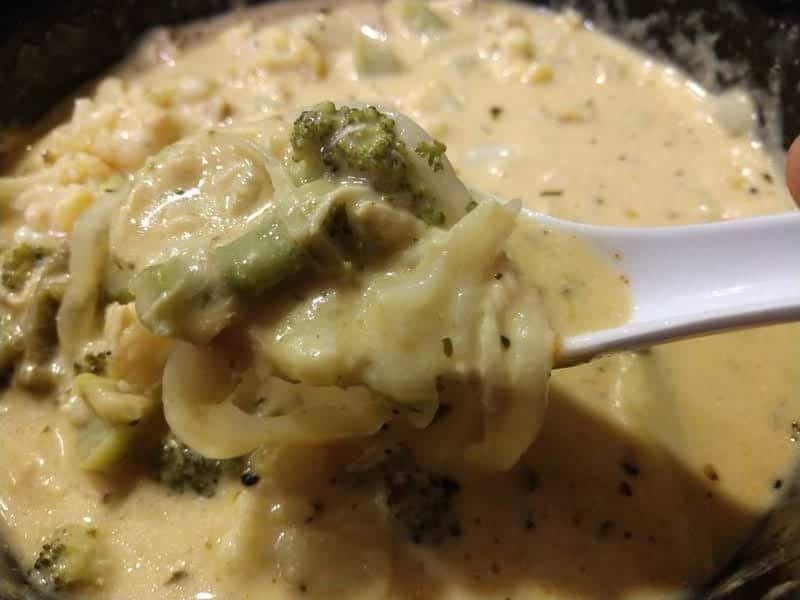 I had recently made a good cheese sauce for broccoli and that would be perfect! So, off I went, mad woman in the kitchen (which happens often). It all came together so easily and I knew this is what I wanted. My husband even told me “We can have this often, I wouldn’t mind”. Score! 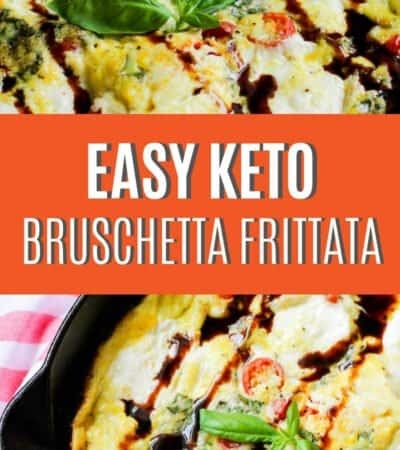 I have used broccoli and cauliflower each time for this recipe, but you could easily add in whatever you have on hand, or whatever sounds good to you! I thought of replacing the chicken one time for maybe, pork?! That sounds really good too. Play around with what your family likes and what vegetables you have available, it will still be delicious and satisfying! 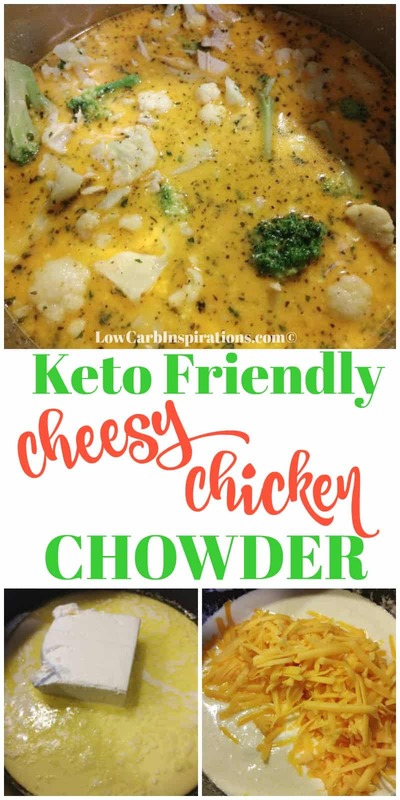 This Keto Cheesy Chicken and Veggie Chowder is perfect for a cold fall night! 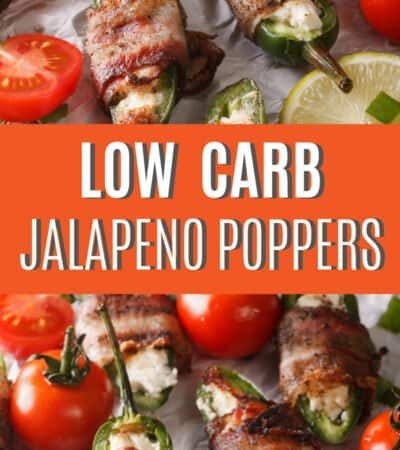 It’s creamy, delicious and super filling. 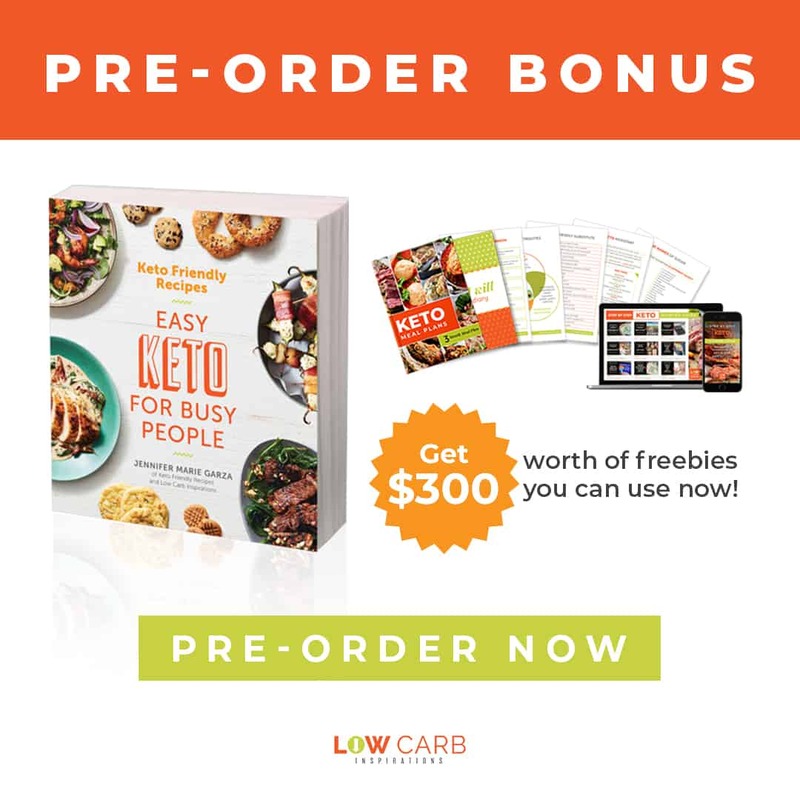 Add a crusty keto bun to sop up the good stuff at the bottom! Cook your chicken by preferred method (I used my IP). Set aside. Steam broccoli/cauliflower until tender. Set aside. 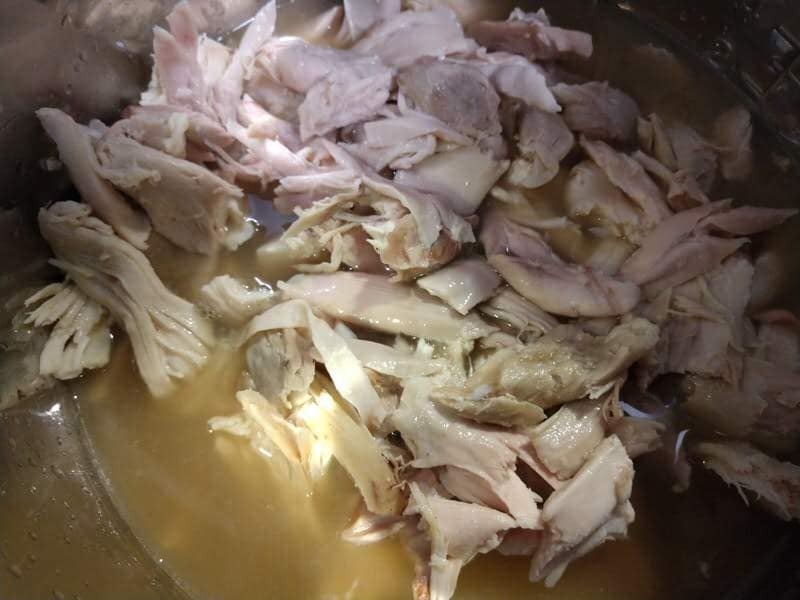 Add chicken and broth to IP or large stock pot, turn on keep warm or low. In a small pot- add butter, HWC, and cream cheese. Turn on low. Once the cream cheese starts to melt, add shredded cheddar and stir. 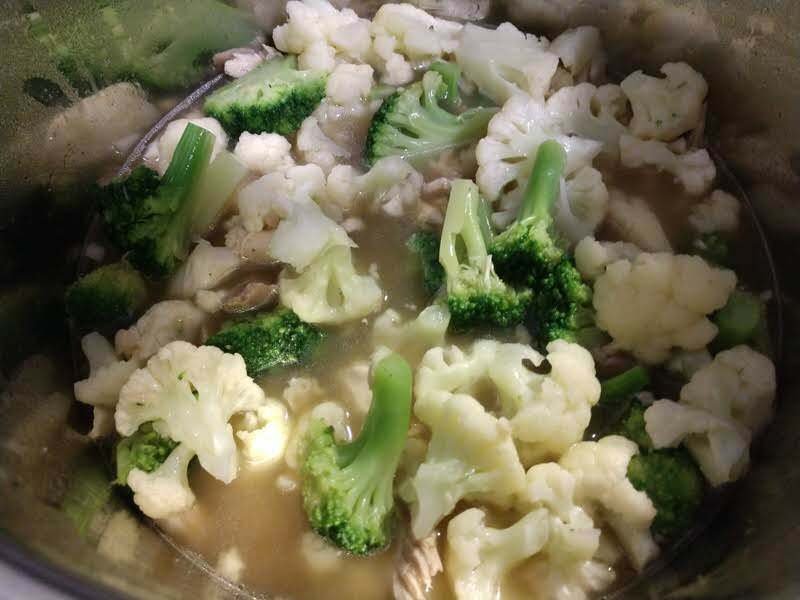 Once broth and chicken are warm/on simmer, add broc/cauliflower, stir. After sauce is melted/blended, add seasoning to taste, let cook 2-3 minutes. Then add sauce into IP or large pot, stir, add Xanthan gum. Let cook ~5 minutes. Serve! 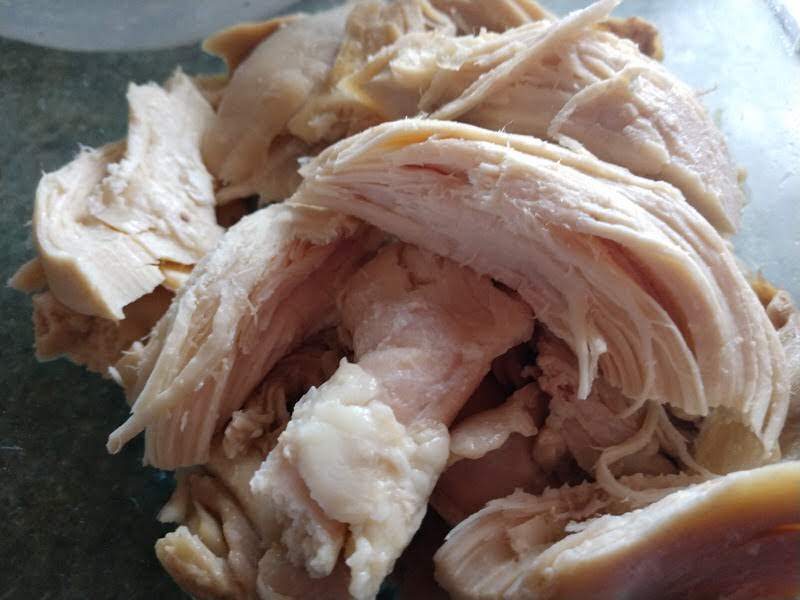 I used a poultry broth for this, but you can use any bone stock or broth you like. 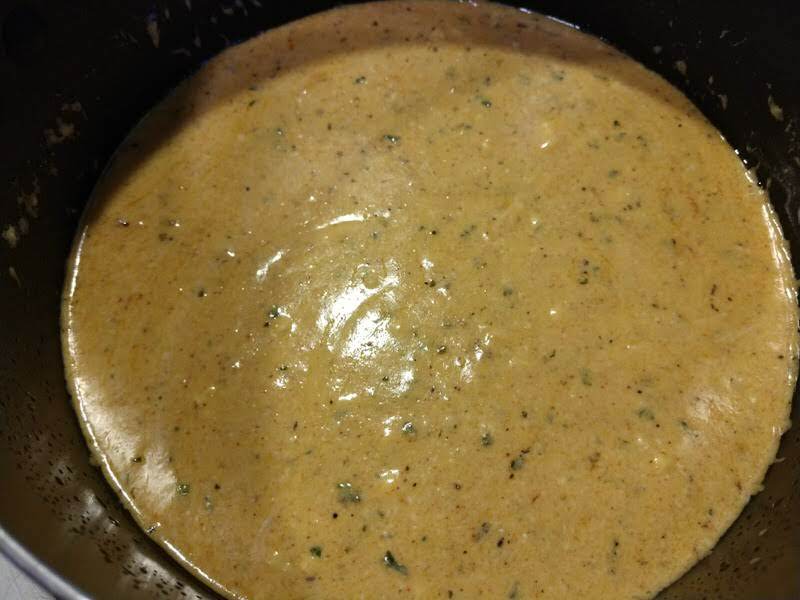 Xanthan Gum is optional, but it thickens the sauce, to make it more like a chowder. 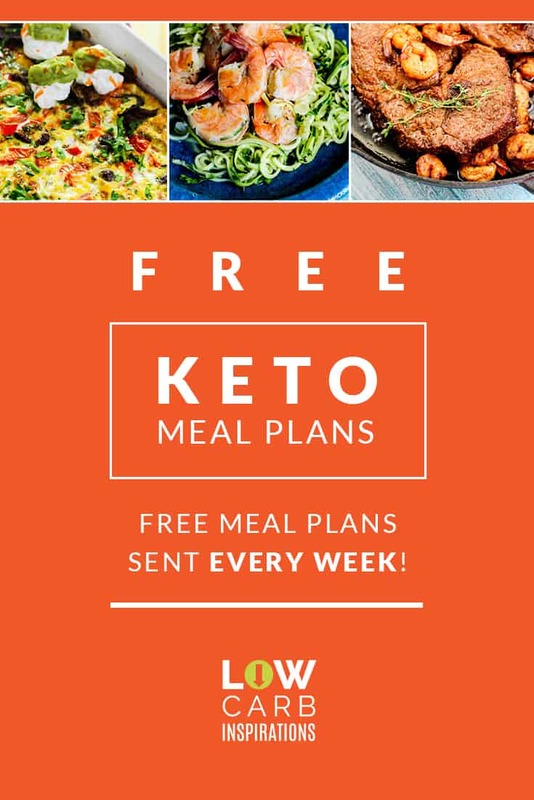 It does make a big difference and worth it. 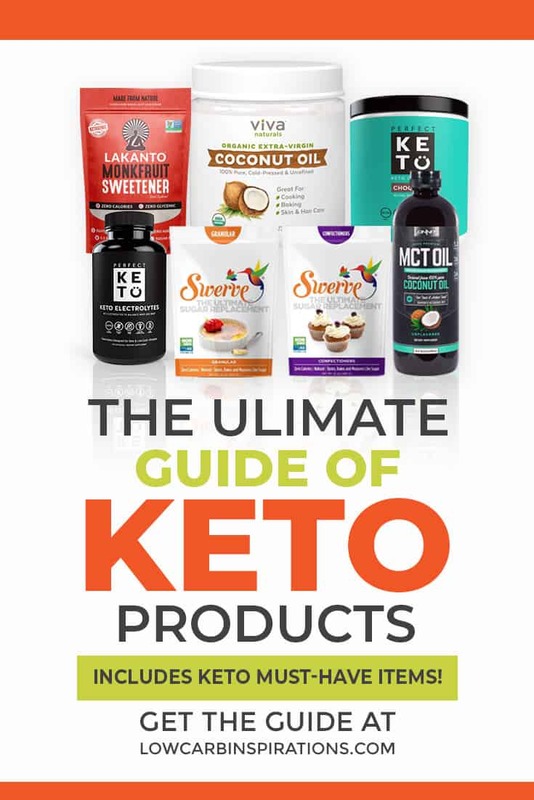 It's definitely in my keto pantry! 1.Cook your chicken by preferred method (I used my IP). Set aside. 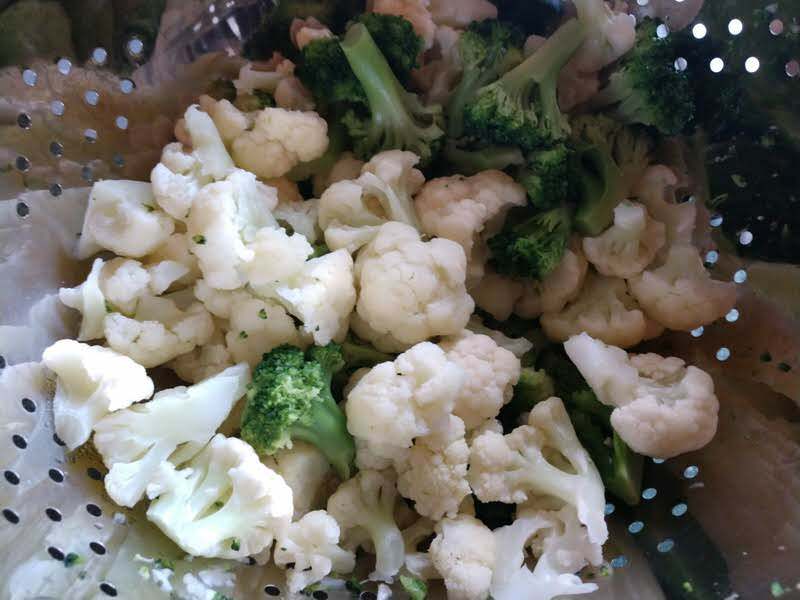 2.Steam broccoli/cauliflower until tender. Set aside. 3.Add chicken and broth to IP or large stock pot, turn on keep warm or low. 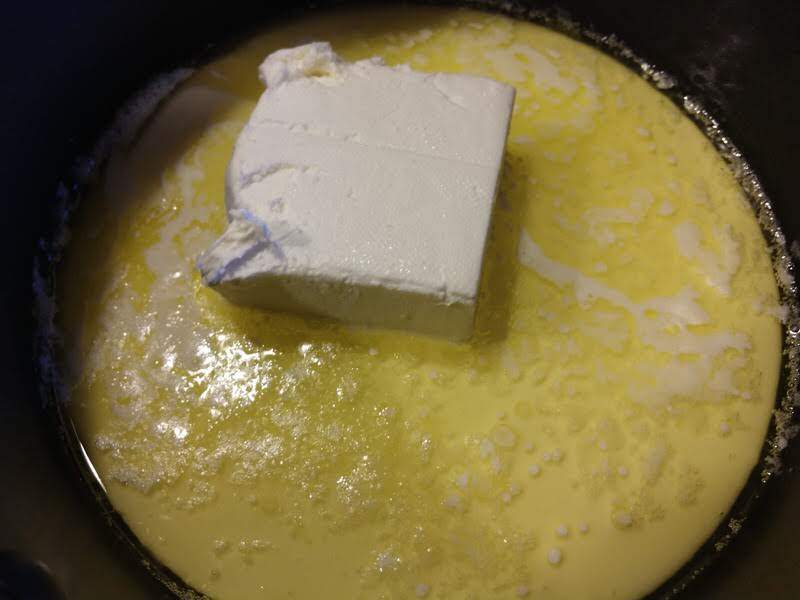 4.In a small pot- add butter, HWC and cream cheese. Turn on low. 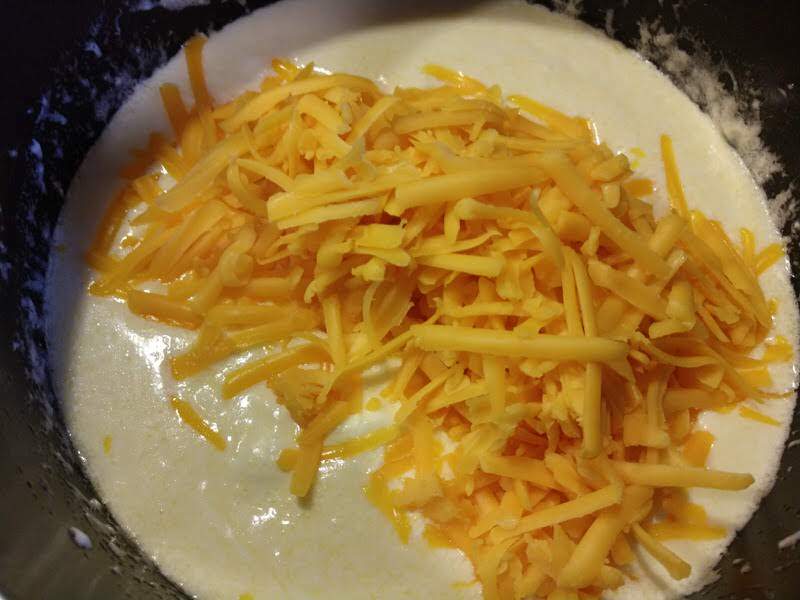 5.Once cream cheese starts to melt, add shredded cheddar and stir. 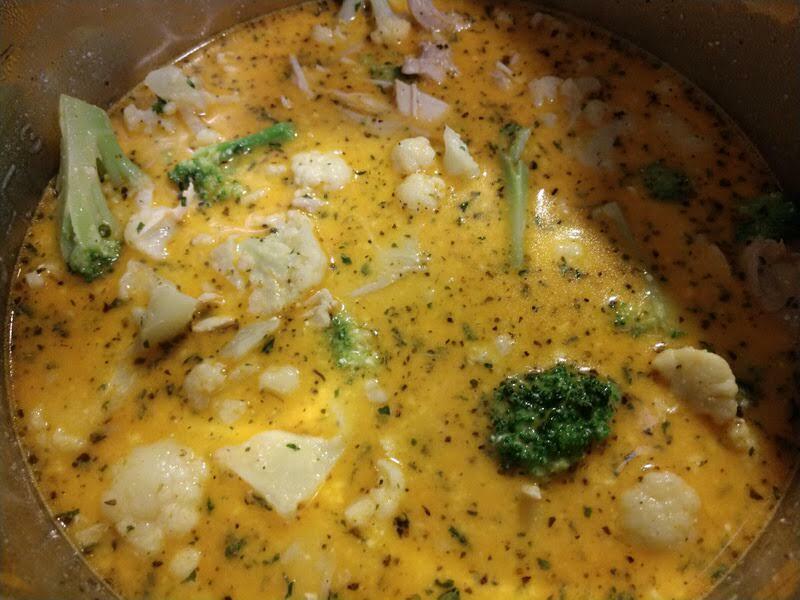 6.Once broth and chicken are warm/on simmer, add broc/cauliflower, stir. 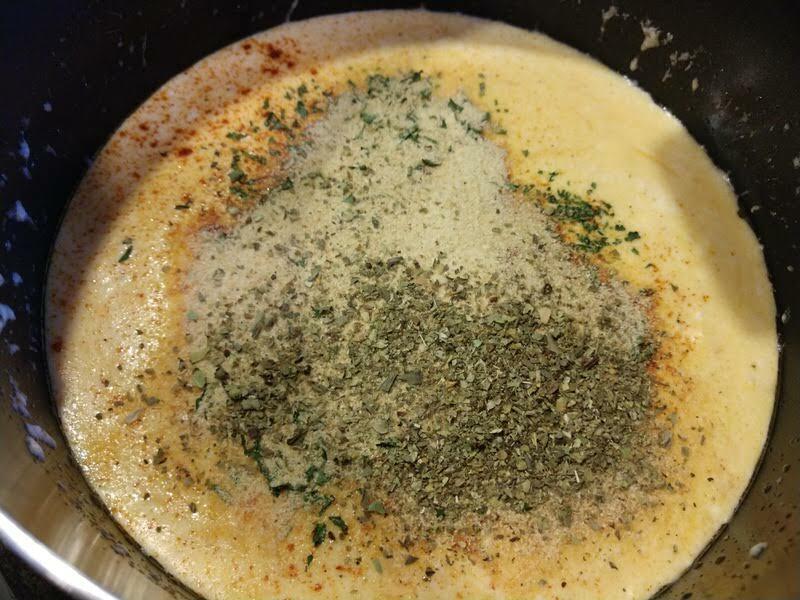 7.After sauce is melted/blended, add seasoning to taste, let cook 2-3 minutes. 8.Then add sauce into IP or large pot, stir, add Xanthan gum. 9.Let cook ~5 minutes. Serve! If you enjoyed this recipe, I can bet you will love this one! Don't forget to pin it on Pinterest for later!! 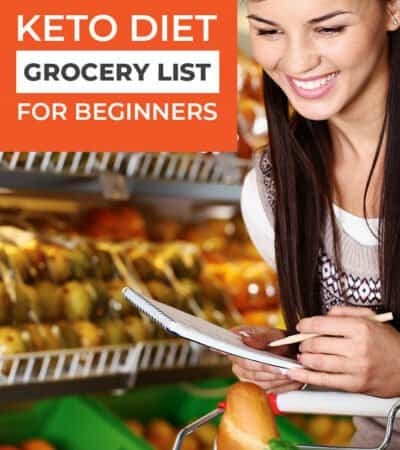 I don’t see a list of the spices you used in the recipe.